One of the world’s leading technology innovator LG Electronics (LG) showcased its trailblazing technologies during the recently concluded HVAC/R Philippines Exhibition and Conference 2015 held at the SMX Convention Center in Pasay City. 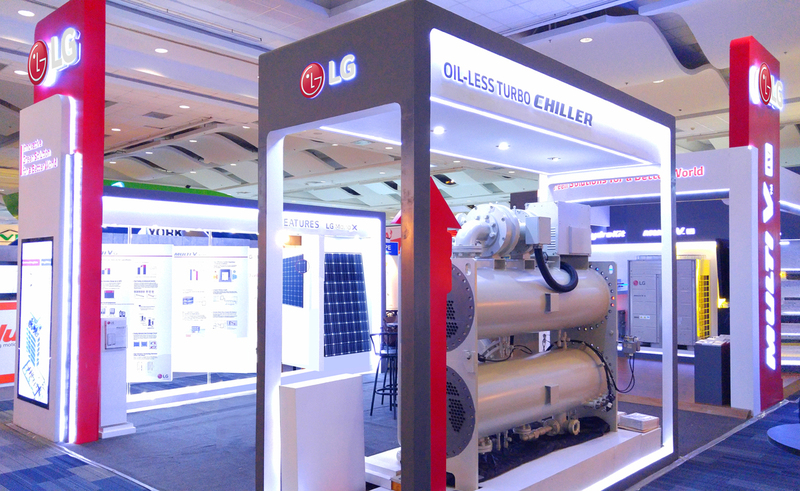 Adopting the theme “Innovative Green Solution for a Better World,” LG’s booth this year featured its world class and most technologically advanced LG Oil-less Turbo ‎Chiller, which has the highest efficiency to date that translates into huge savings for enterprise customers. Awarded first place in Best Booth Design during the four-day show, LG’s display also featured the company’s solar panels, Becon (Building Energy Control), Multi V Heat Recovery, and Green Building Concept. Now in its 18th year, HVAC/R is the Philippines’ leading trade show for air and cooling technologies and is traditionally held alongside PhilConstruct, the largest building and construction expo in the country.